"Give more, get more" is the firm belief of this 'TEMPLE' of learning. This mantra inspires all of us to share the inexhaustible treasure of knowledge and help to shape the destiny of our students. When we impart knowledge we enrich ourselves in the process. We lead, direct, motivate and guide the children entrusted in our care and instill in them values of justice, peace and love. 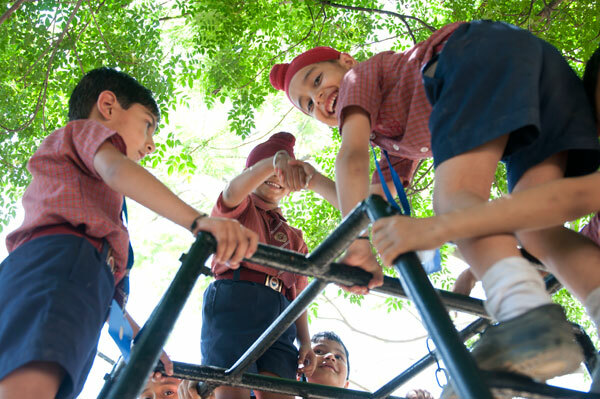 The school implements the motto "SPEND AND BE SPENT" not merely by sowing the seed of knowledge but also inculcating in the young minds the finer qualities of generosity and compassion. The combined energies of the teacher and the students will assist the ‘Peterites’ to emulate the motto "SPEND AND BE SPENT" and receive from the 'LORD' blessings in abundance.